These model refrigerators have been out of production for a long while now, however, there are still replacement boards available. Please read the Recall Kit information below before placing an order. The universal boards we have will NOT work if the recall has not already been done on your refrigerator. Our circuit boards will work in these models only if the recall kit has been installed. The best way to tell if the kit has been installed is to look at the part # of the circuit board. If it has a part # 615282 or # 615281 the recall kit has not been installed, and our circuit boards will not work. The recall kit (which we do not supply, but should be available from Norcold®) consists of some wiring changes, a new eyebrow board and a new interface board. 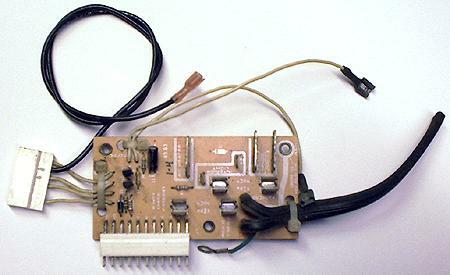 The picture below shows one of the original boards used before the recall is done.